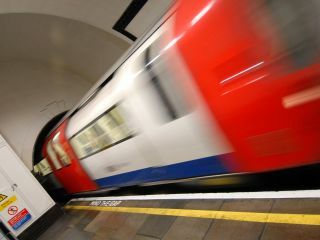 BT has announced that it is to trial Wi-Fi at Charing Cross Tube station in partnership with London Underground. Glasgow recently became the first UK subway to get networked up recently, but talk of the London Underground getting phone and device connectivity stretched back for years. "The trial, which will test how the service works and look at customer take up, will include live Transport for London service updates available to all Wi-Fi users including non-BT customers. "The ticket hall area and Northern and Bakerloo line platforms at Charing Cross Tube station will become the latest addition to the 1.6m BT wireless broadband hotspots in the UK and will allow customers to connect to the web." Commuters have long been demanding underground connectivity, and the rise and rise of the connected device has exacerbated the issue. Security issues and sheer cost have held things back – but the trials could be the harbinger of a real change for people using the underground. Kulveer Ranger, the Mayor of London's transport adviser, said: "An ever growing commuter populous has been clamouring to be able to check their emails and browse the net whilst on the go. "This trial at Charing Cross will allow them to do just that whilst on the Tube platform.